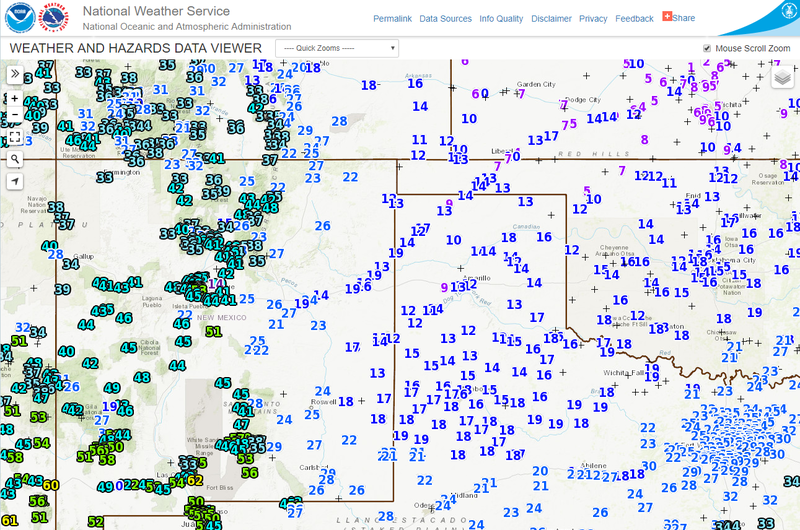 Snapshot Taken At 9:57 AM MST This New Years Eve. 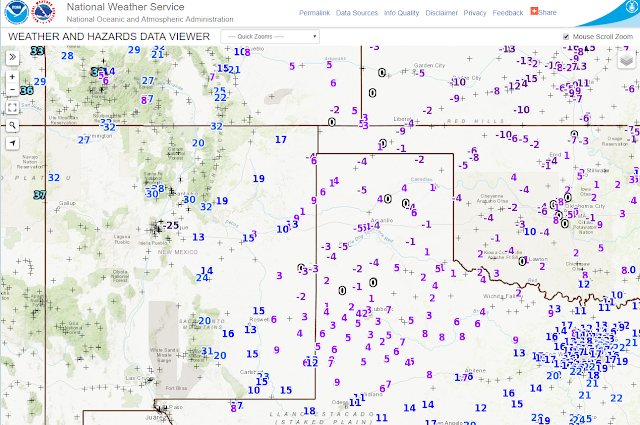 Arctic air surged back westward into the Pecos Valley and the rest of Southeastern New Mexico overnight into this morning. 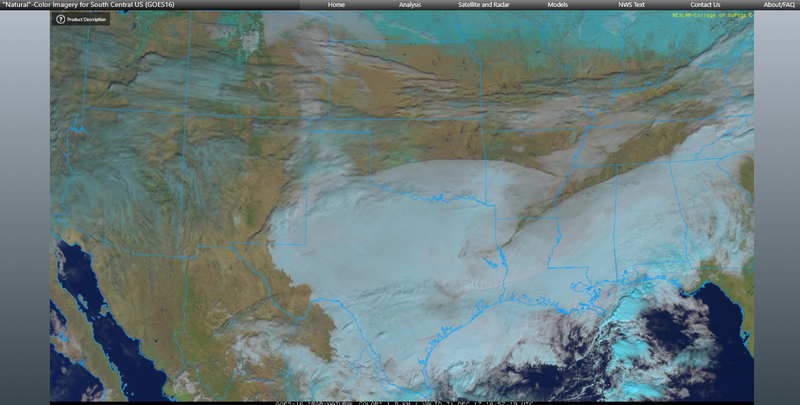 Low clouds and freezing fog with pockets of freezing drizzle also covering the area as indicated above in this visible satellite image. 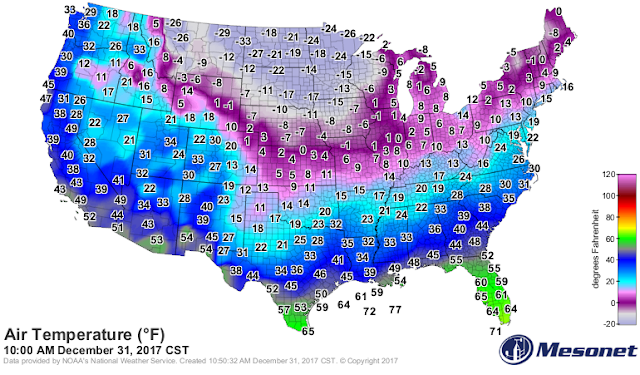 Much Of The Nation East Of The Rockies In The Deep Freeze. 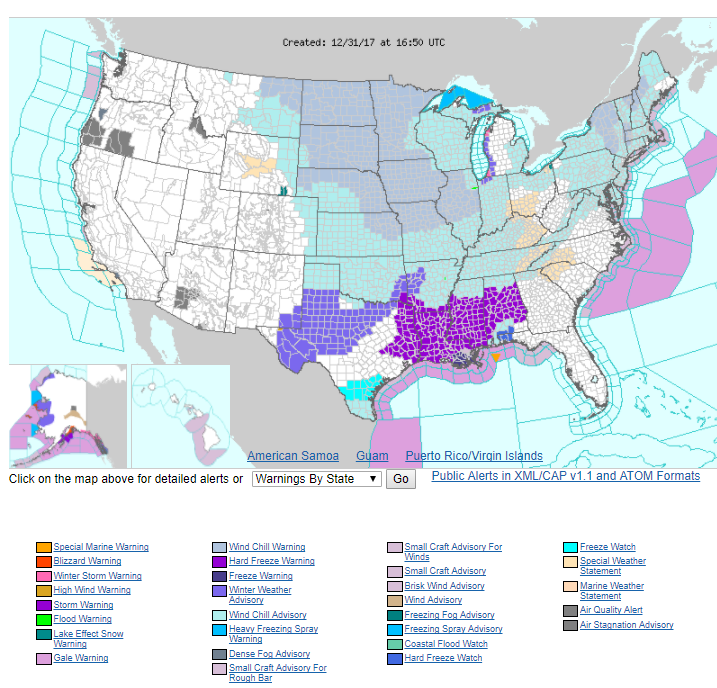 Notice how many states and counties that are under a Wind Chill Advisory (light blue shades) and Wind Chill Warnings (light purple shades) as of 9 AM MST this morning. Parts of Southeastern New Mexico including Eddy and Lea Counties are under a Winter Weather Advisory this afternoon into New Years Day morning. 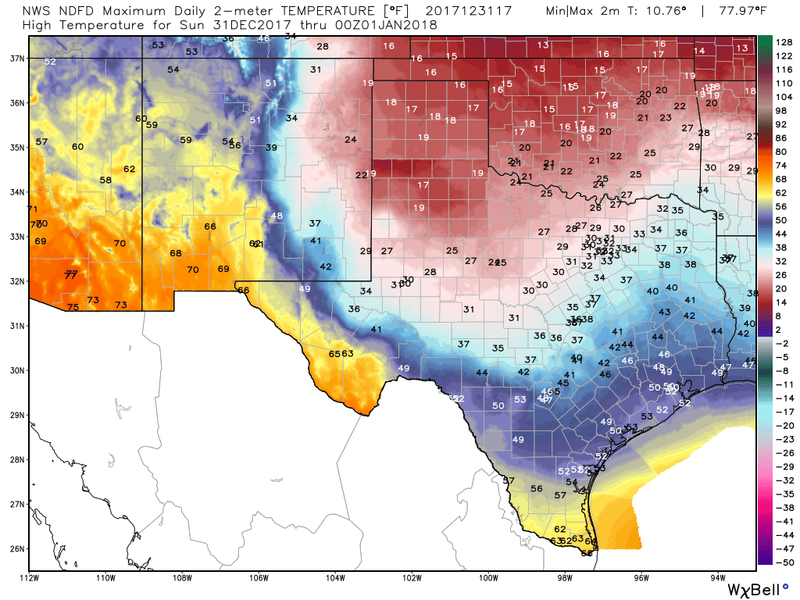 This also includes much of West Texas eastward to the Northeastern Texas. 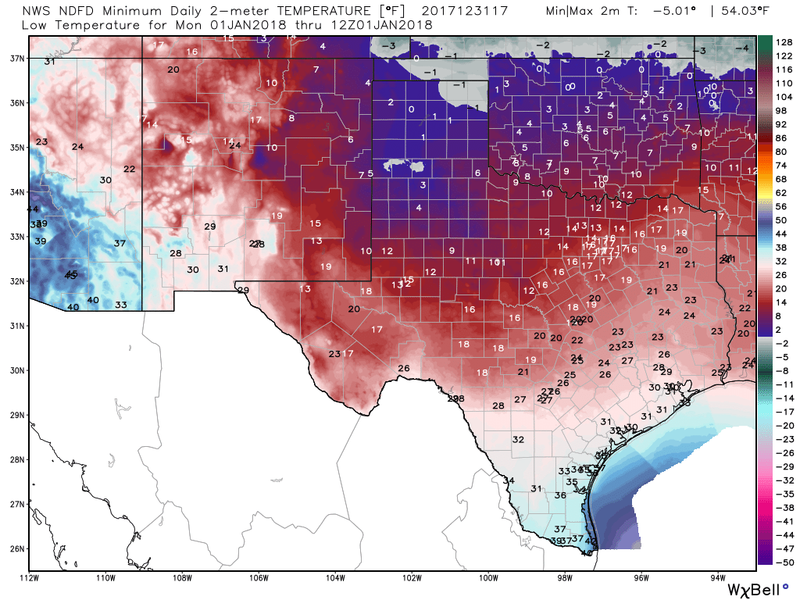 Areas of freezing fog, light freezing drizzle, light freezing rain, light sleet, and light snow will be possible here in Southeastern New Mexico and West Texas. Subzero low temperatures this morning from the central plains northward into the Yukon and Northern Canada where -40ºF to -50ºF readings were recorded. 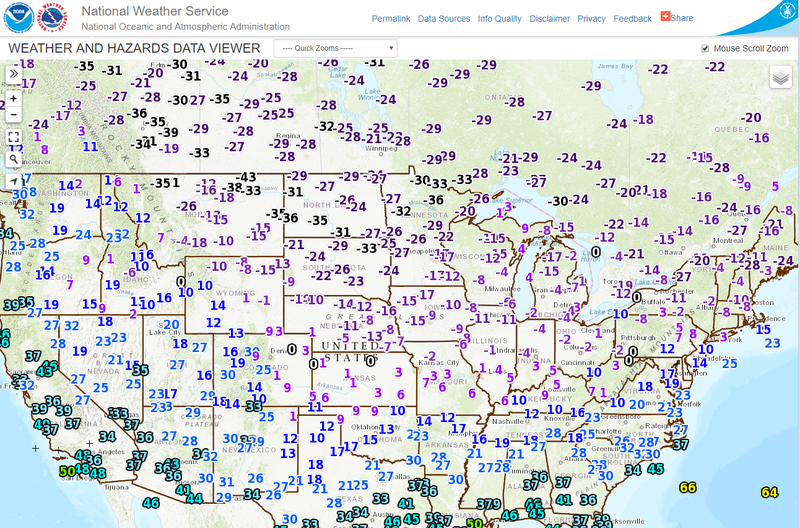 NWS MesoWest Temperatures & Wind Chills. 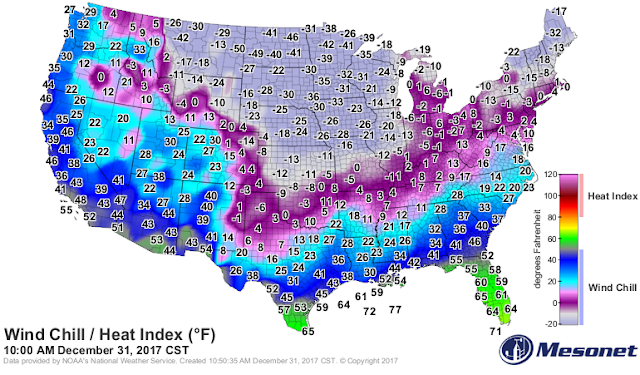 Wind Chills At 9 AM MST. Given the shallow nature of the arctic air mass notice how it is warmer (mostly in the 40's) across the Sacramento Mountains than it is in the Southeastern Plains eastward into West Texas. 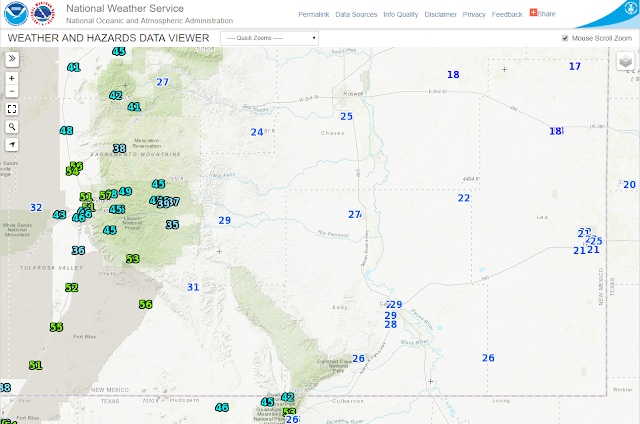 Cloudcroft located at 8,750' in the southern Sacramento Mountains is forecast to reach an afternoon high of 48ºF this afternoon. 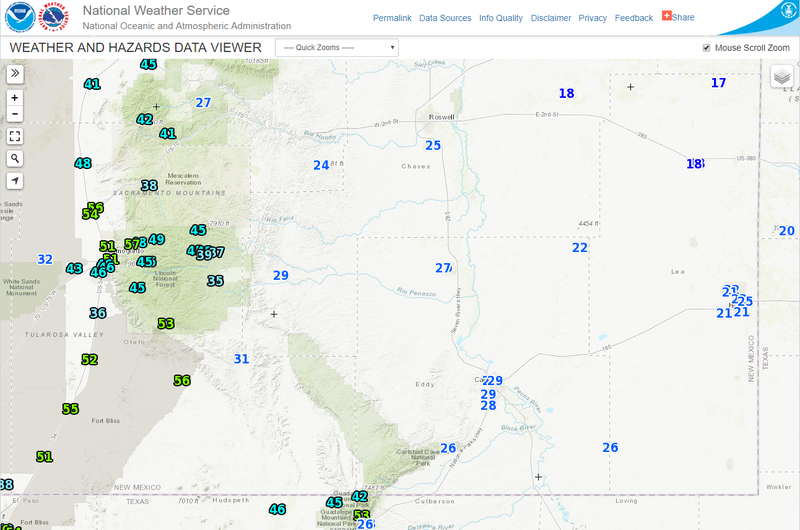 While Hobbs located at 3,620' is only supposed to make it up to 20F today. National Temps & Wind Chills At 9 AM MST. 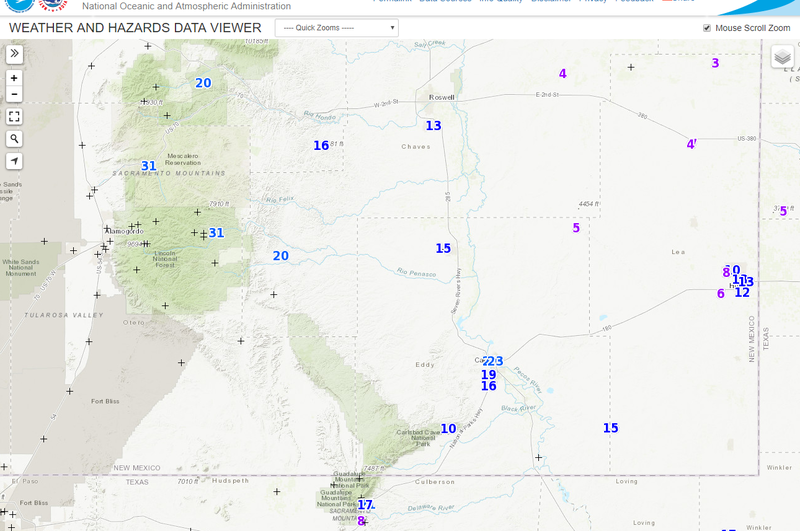 Today's forecast high temperatures may be a little too warm across the Pecos Valley and parts of the Southeastern Plains if current temperature trends continue. 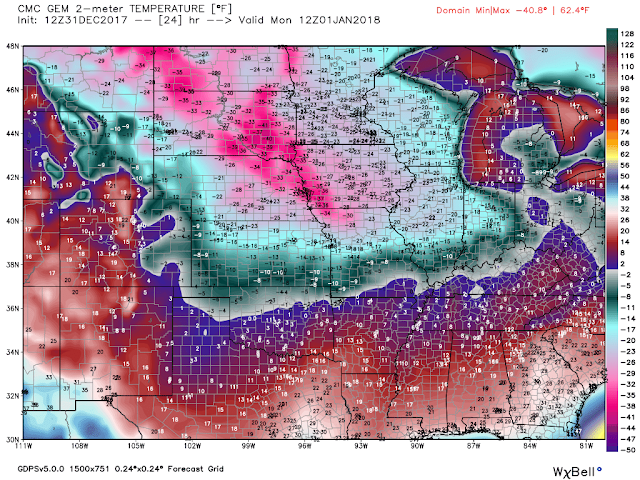 If the colder arctic air mass continues to back door in from the east we may not make it much above freezing. 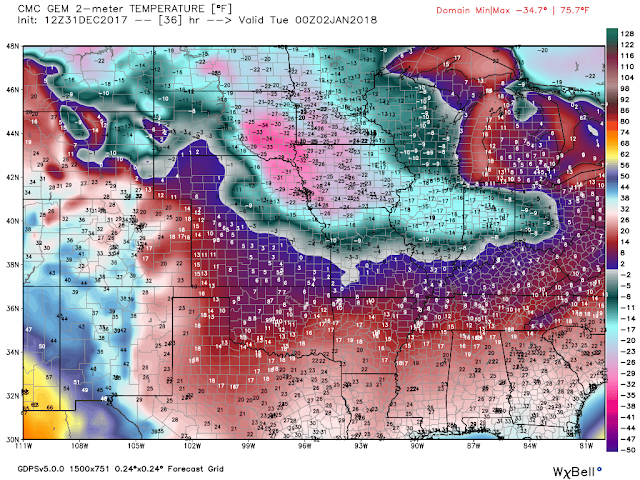 NWS NDFD Forecast Low Temps Tonight. 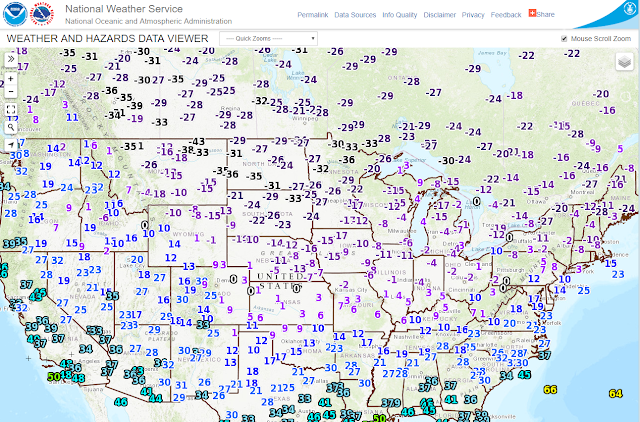 Temperatures At 5 AM MST New Years Morning. 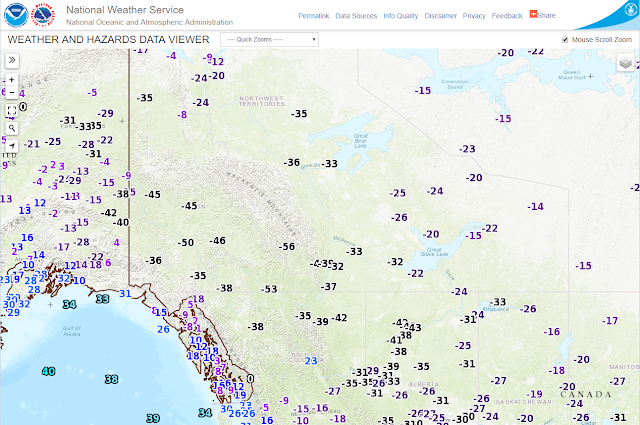 Valid At 5 AM MST New Years Morning. Once again the Canadian model continues to be coldest and persistently forecasts lows New Years morning in the single digits to the low teens locally. With highs on New Years Day only in the 20's. 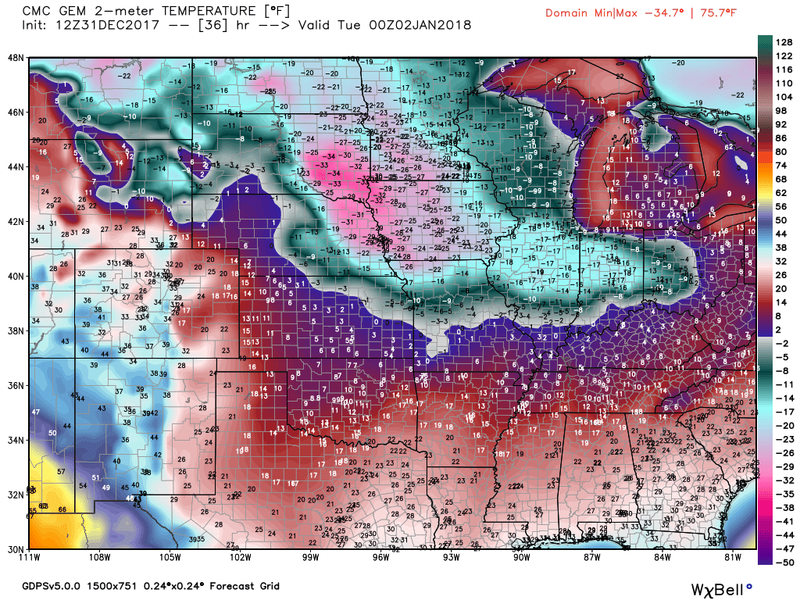 Valid At 5 PM MST New Years Afternoon. 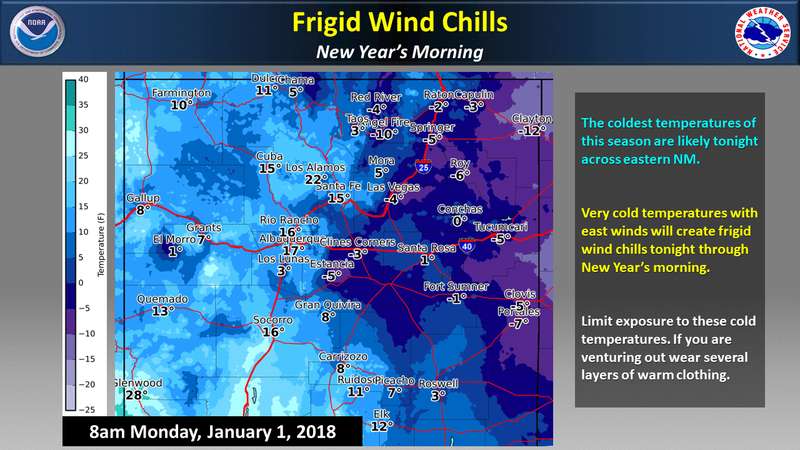 Wind chill temperatures are forecast to drop down to around 0ºF to 10ºF later tonight into New Years morning across the Eastern and Southeastern Plains of New Mexico. 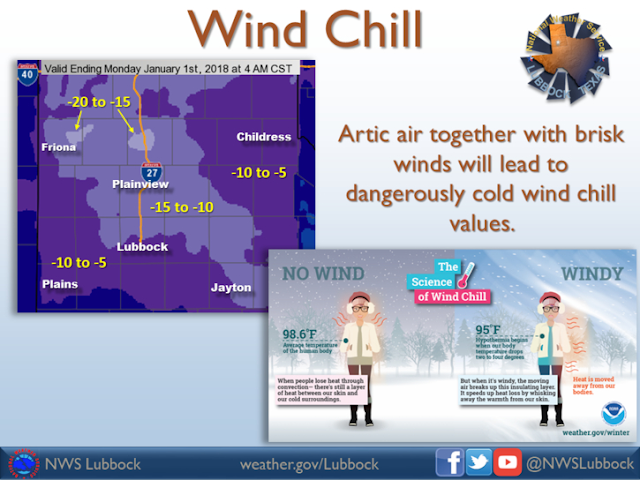 Wind chills in the Clovis and Portales areas will drop down to -7ºF, and the Roswell area will see values near 0ºF. 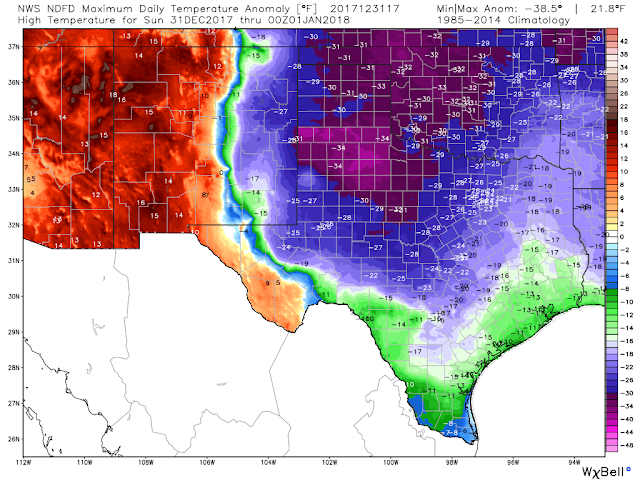 Some spots may see values below zero with wind chills in the Guadalupe Mountains dropping down to -5ºF to -15ºF as will also be the case across parts of West Texas. Areas north of Lubbock will see wind chills drop down to -15ºF to -20ºF. 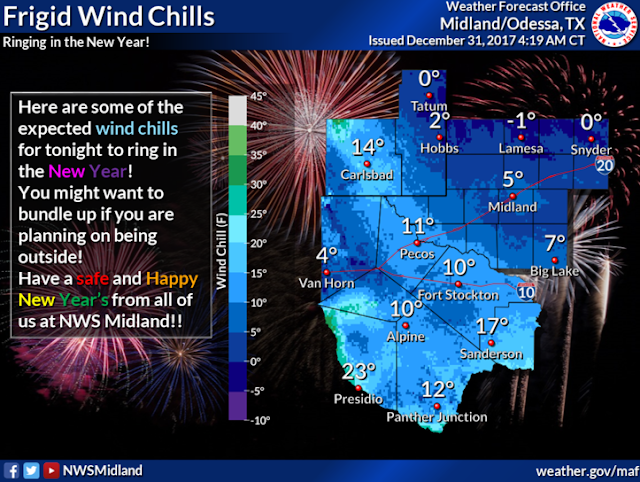 Bundle up tonight if you are out and about ringing in the New Year and don't forget about your pets either. Wind Chills Tonight Into New Years Morning.